With these two employees, we have further optimized our ecological balance. BeoPlast is happy about Mr. Musk and Mr. von Carlowitz: the two Breton dwarf sheep have been taking care of the lawn on our company premises since mid-March. This was the last area in which BeoPlast used combustion engines. Our team warmly welcomed the two new members of staff, who have already worked well! 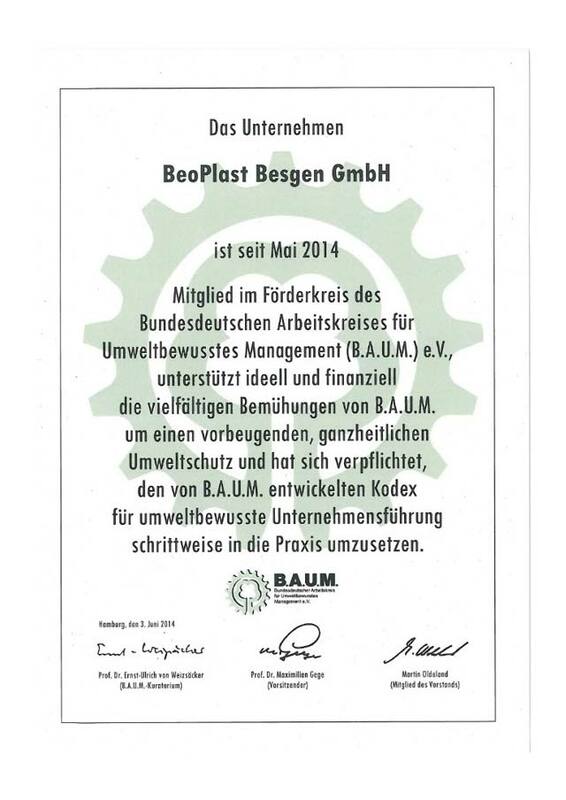 In 2012 BeoPlast realised, that it has to harmonize its mangement in compliance with the mandatory ecologically needs. The fact, that 2014 has been the hottest year since the beginning of weather recording, and also that 14 of 15 of the hottest years are in the 21 century, underscores the rightness of this strategic decision. ​BeoPlast, as an energy intensive manufacturing company, we are aware of our environmental and social responsibility. In order to meet these responsibilities we have implemented a number of measures to improve our environmental balance substantially. It was our target to proportionally reduce our energy consumption. BeoPlast regularly informs about new ideas and products dealing with the topic of environmental protection. Our goal is to develop products with our customers, which meet the environmental requirements. If technically possible, we realize this with bio-based materials. Examples of our above-mentioned work are also shown on our BeoPlast Facebook page. If you like what we show to you, we would appreciate a “Like”. You can find us at www.facebook.com/beoplast. 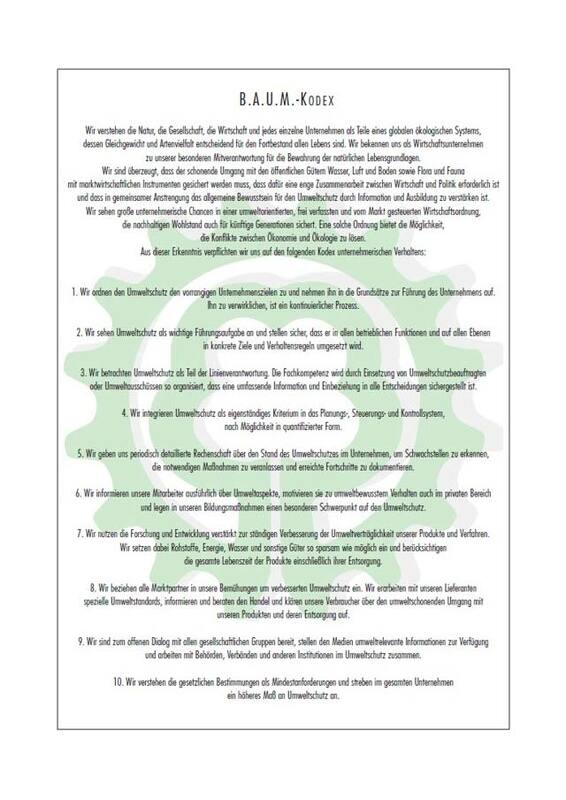 An important keystone for transparency and national and international comparability of sustainable services in companies are declarations of conformity according to the “German Sustainability Code”. These “Sustainability Codes” are used worldwide. According to EU law, these will be obligatory as of 2017 at least for large companies. In Germany, about 120 companies are participating. These included companies such as Bayer, Daimler, Puma, but also some SMEs and BeoPlast. Here, too, we want to play a pioneering role and to be a role model within our industry. If you would like to know more about the DNK, please refer to the “Contact” link. The protection of the climate cannot be limited to one country. It is a global issue. BeoPlast is donating a solar system for a 100 square meter roof for a children’s village in Bogota (Columbia). The installation will take place in the second half-year 2015. For more information about the village, please refer to www.laudesinfantis.org.co. Please read the complete summary in the following PDF document. The required electricity must also be generated 100% from hydropower. Our staff has to be trained in order to understand our operational processes completely. Only then, they know exactly what to do. Ideally they will apply this knowledge in their private households, too. Suppliers and customers are taken along into our “CO2-free World”. They are also involved in our CO2 vision. In 2013 BeoPlast emitted about 1,000 t of CO2. In the first half of 2014 there was an emission of about 570 t CO2. Due to the implemented measures we will be able to reduce our CO2 emission by 99.9%. The remaining 3 kg of CO2 will be compensated for by planting fruit trees on our premises. As a company committed to sustainability we certainly are a member of B.A.U.M. eV (German Association for Environmental Management).